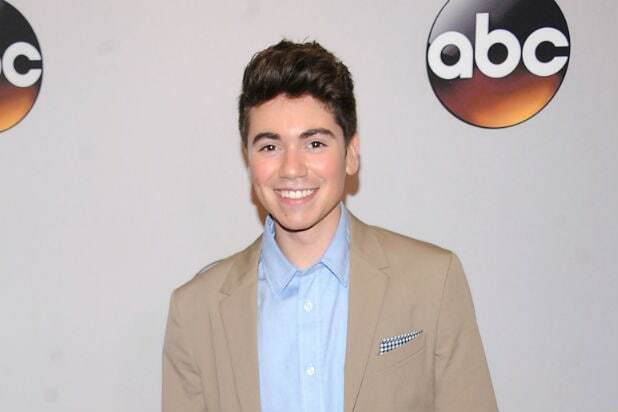 ABC star Noah Galvin is apologizing for a lengthy interview he gave slamming gay culture in show business, specifically citing actor Colton Haynes and director Bryan Singer. The New York Magazine piece discussed toxic gay male identities within the industry, the vague coming out of actor Colton Haynes and speculated about the sexual life of “X-Men: Apocalypse” director Bryan Singer. The “Real O’Neals” actor tweeted his apology in two parts, starting with Singer. “My comments were false and unwarranted. It was irresponsible and stupid of me to make those allegations against Bryan, and I deeply regret doing so. I have never been to Bryan’s house, and I admit there is no basis for any of the things I said or implied about Bryan in that interview,” Galvin wrote. In the original piece, Galvin joked about allegations that plagued Singer in 2014 that he had sexually abused an underage man years earlier. His accuser was later found guilty of fraud over his claims. As for Haynes, Galvin took aim at his coming out process, which many found vague and rather drawn out. Galvin regrets the criticism, especially in light of his role as a 16-year-old closeted high school student. “I have no right to dictate how or when anybody comes out of the closet; I know how difficult and scary the process of coming out can be, and the last thing I would ever want to do is make it scarier,” he said. I sincerely apologize to Bryan Singer for the horrible statement I made about him in the interview I gave to New York Magazine. My comments were false and unwarranted. It was irresponsible and stupid of me to make those allegations against Bryan, and I deeply regret doing so. I have never been to Bryan’s house, and I admit there is no basis for any of the things I said or implied about Bryan in that interview. I understand now that my statements were not at all funny and have serious implications. I am very sorry and I hope that Bryan and everyone else who read that interview can forgive me for my serious lapse in judgment. I have contacted New York Magazine and the other publications that republished my statements and asked them all to print this retraction and apology. The entire interview I gave to Vulture has hurt the LGBTQ community and the industry I feel truly fortunate to be a part of. My only intention was to try and empower and promote honesty, but I fully understand that comments I made were brazen and hurtful. To Colton Haynes and to the LGBTQ youth, especially those who have embraced our show, I have no right to dictate how or when anybody comes out of the closet; I know how difficult and scary the process of coming out can be, and the last thing I would ever want to do is make it scarier. For anyone. Lastly, as I said in the interview, I think Eric Stonestreet is a wonderful actor. I apologize to everyone that I’ve hurt with my comments and understand the damage that has been done. I am new to this and will certainly commit to being more thoughtful and wiser as I navigate all of this moving forward.